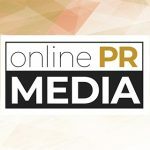 Online PR News – 14-June-2017 – New York, NY – BizBash, the leading trade media for the event industry, has announced its 2017 list of the most innovative people and brands in events. On the list are event leaders from across North America working across industry sectors. These include media and technology companies, lifestyle brands, the hospitality industry, and beyond. These individuals and brands are redefining the future of meetings and events and are the bright lights leading the way. "As more brands see the value of live experiences as a part of their marketing mix, these companies and forward-thinking event professionals stood out," said Beth Kormanik, executive editor of BizBash. "Their creativity, use of technology, and strategic choices are helping them reach key audiences to spread their messages." The "Event Innovators 2017" feature, which showcases the full list of innovative people and the "Top 10 Innovative Brands" list, can be seen at www.BizBash.com/innovators-2017.